The Aldeyjarfoss waterfall is situated in the north of Iceland at the northern part of the Sprengisandur Highland Road which means it is to be found within the Highlands of Iceland. 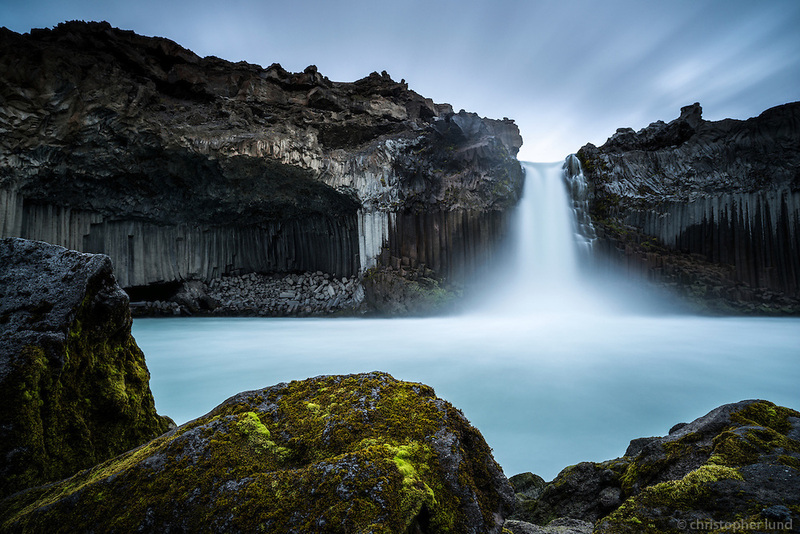 One of the most interesting features of the waterfall is the contrast between the black basalt columns and the white waters of the fall. The river Skjálfandafljót drops here from a height of 20 m. The basalt belongs to a lava field called Frambruni or Suðurárhraun, hraun being the Icelandic designation for lava.